Imagine hearing the leaves crunch under your feet as you feast your eyes on the golds, oranges and reds of autumn that surround you. 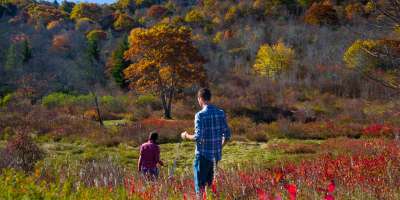 The iconic trails of the Asheville area can be explored during any season but many of these trails in the Blue Ridge Mountains offer a truly special experience in the fall. 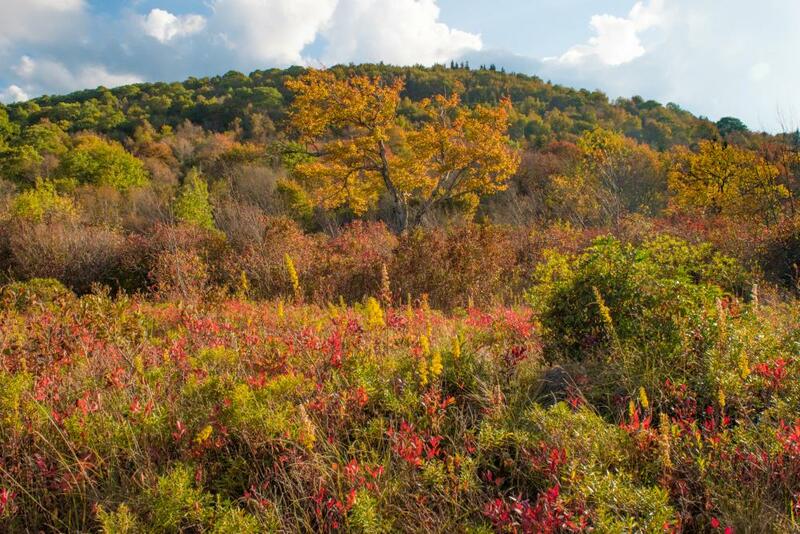 There are few better ways to soak in the colors of fall foliage than with a hike. 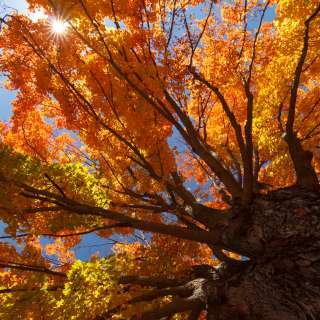 Asheville enjoys one of the longest and most vibrant fall color seasons in the nation. The development of fall color is largely dependent on elevation. The highest elevations (about 6,000 feet) see the change first before color makes its way down the mountainsides and into the valleys by early November. 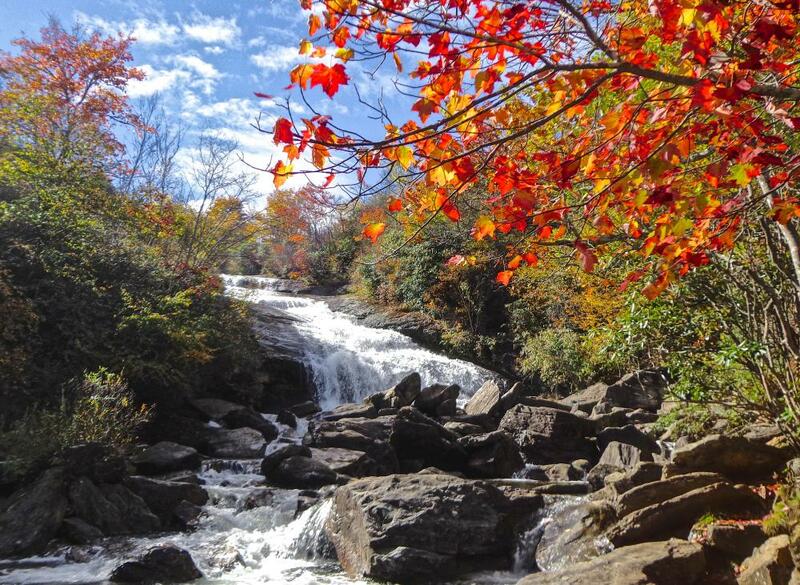 As you plan your trip, see five things to know about fall in Asheville. 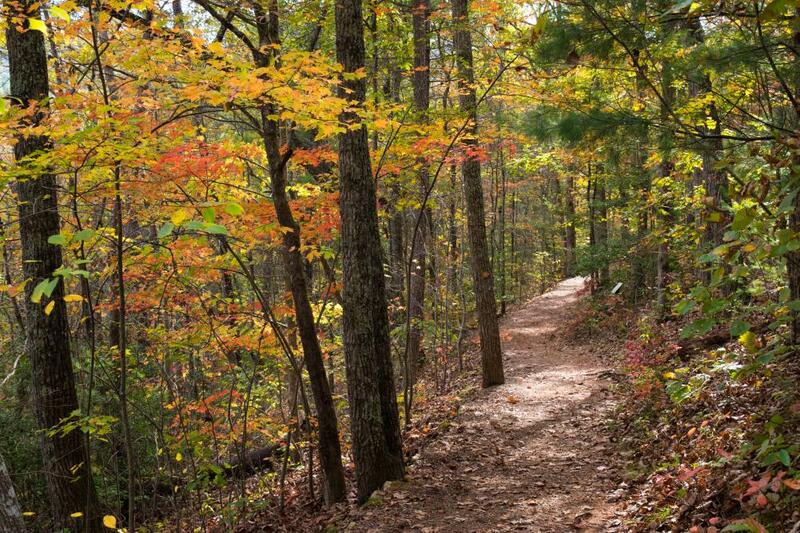 Here are some of our favorite hiking trails for discovering fall color in the Asheville area. 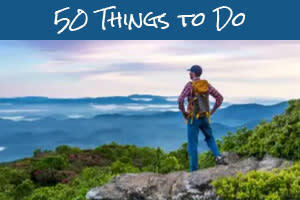 For more hiking ideas, see our recently updated hiking guide! Traditionally, Graveyard Fields is one of the first places to see fall color on the Blue Ridge Parkway near Asheville. 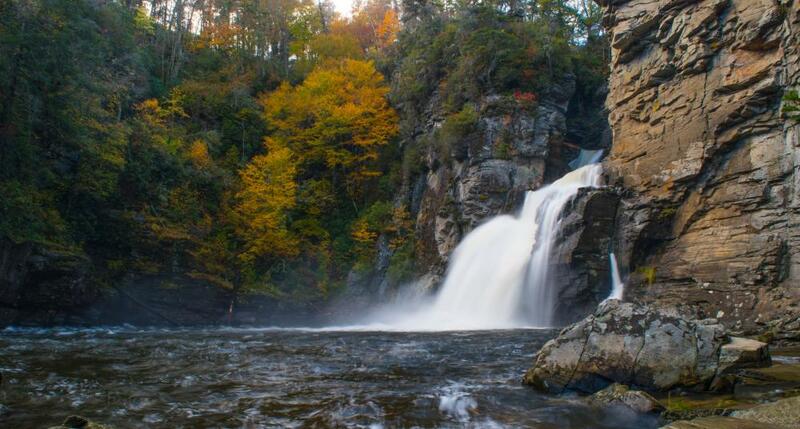 This relatively easy, family-friendly hike offers the chance to see multiple waterfalls framed by fall color. 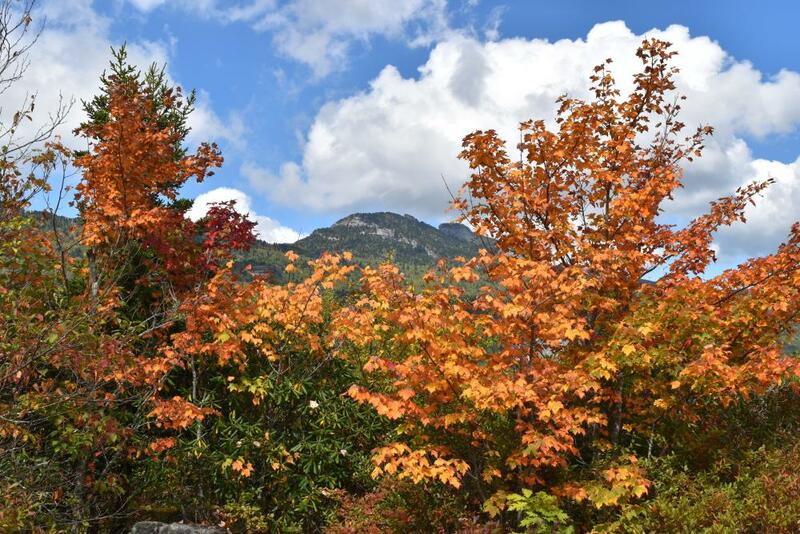 From the parking area, enjoy mountain vistas of autumn color. Hike to majestic views of the High Country on the way to Rough Ridge’s famous rocky summit. Fall foliage appears here near the high-elevation summit in early fall but Rough Ridge makes a perfect vantage point throughout the season to see sweeping views of the color moving into the valleys below. This quick hike delivers a big payoff. 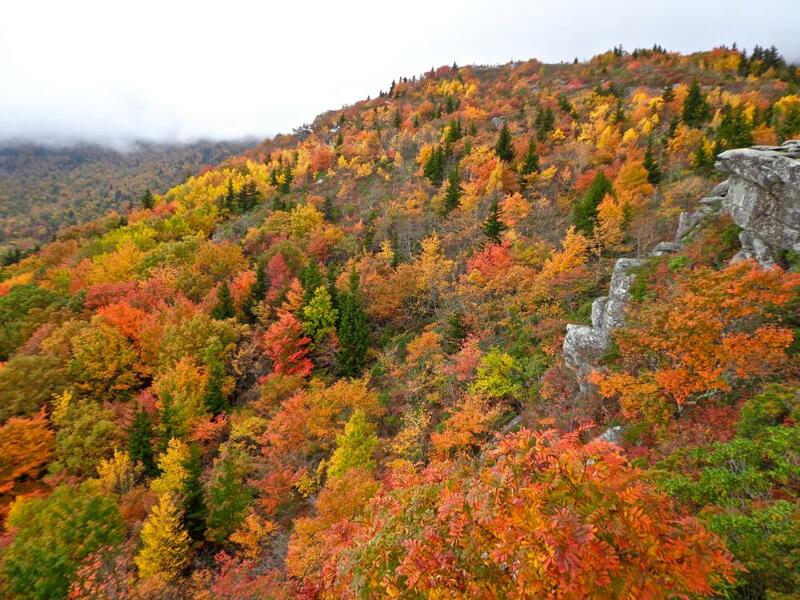 From one lookout, see how the autumn colors perfectly frame Grandfather Mountain. From a lookout facing the other direction, survey layers of mountain ridges. Beacon Heights is another high-elevation spot that tends to see fall color early in the season. History has never looked quite this good. Historic churches and cabins take on a special atmosphere surrounded by the bright colors of fall. 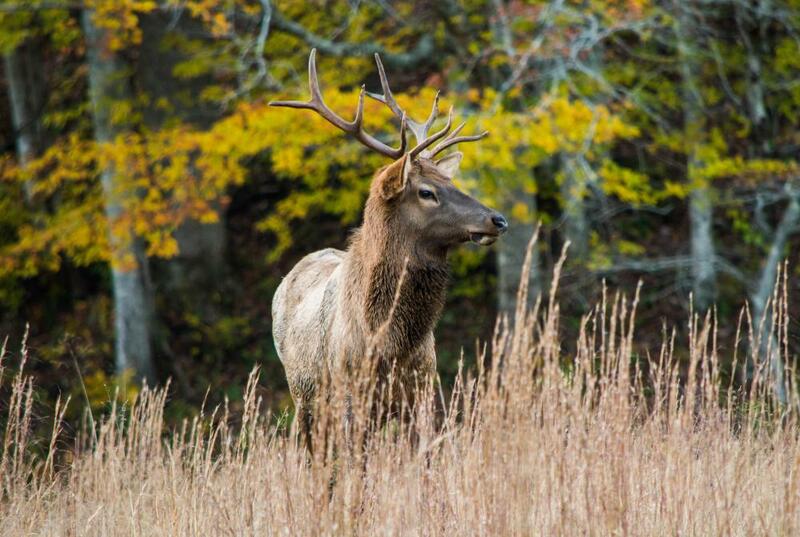 Cataloochee is also home to a large elk population. Seeing the elk is a favorite local fall pastime. Take your pick of five dramatic viewpoints of this thundering waterfall, reached by two wooded trails. The autumn colors tend to be brightest here in early-to-mid fall. 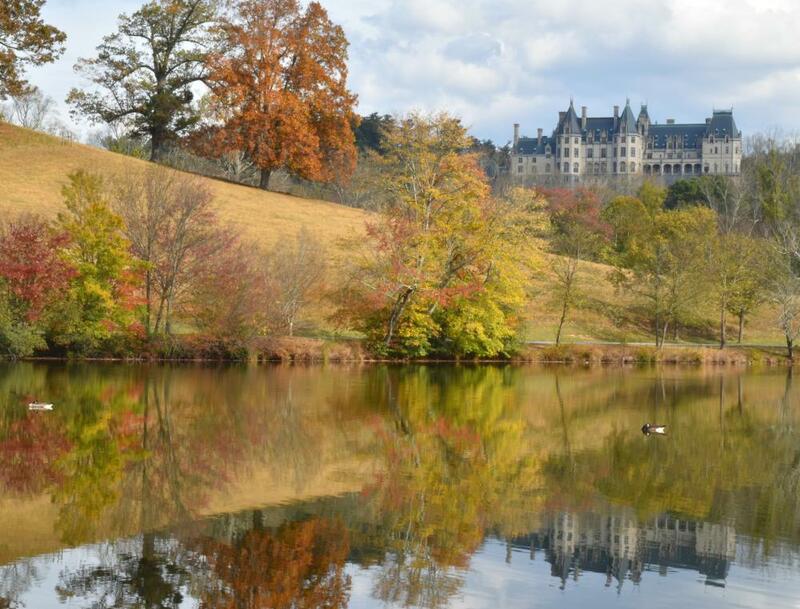 Did you know Biltmore has 22 miles of hiking trails? One of our favorite trails is the trail to the Lagoon – a perfect picnic spot that provides a striking view of the west side of Biltmore House. Mid-to-late fall is a colorful time to hike the trails here. A network of forested trails radiate out from the North Carolina Arboretum leading you to the Bent Creek Experimental Forest and the Blue Ridge Parkway. 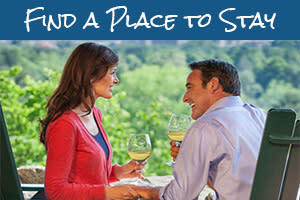 With a large variety of trees and plants, this a great place close to Asheville to get a quick taste of fall. 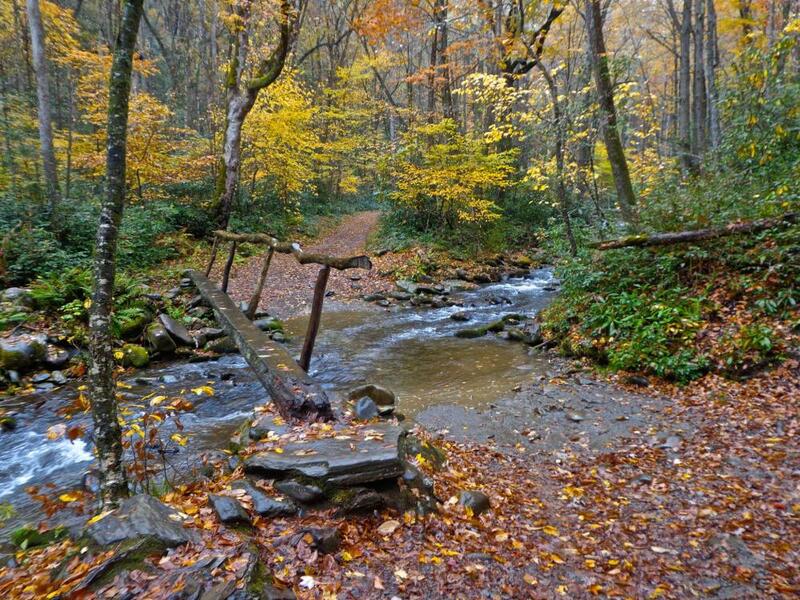 In late October and early November fall color reaches the lower elevation areas of Hickory Nut Gorge. 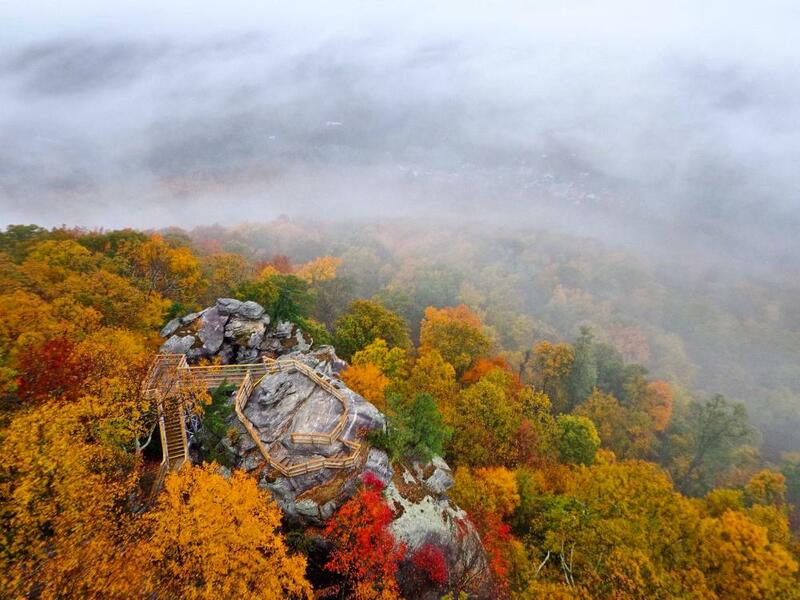 Stand atop iconic Chimney Rock and look out over the colorful valleys below. Don’t forget to take the relatively easy hike through the forest to see 404-foot Hickory Nut Falls! Photo credits: Top photo by Jared Kay. All other photos by Jason Tarr of ExploreAsheville.com.